Parents on Facebook post more photos, videos, links and status updates than non-parents, and those posts receive more interactions, with mobile devices at the center of it all. Facebook IQ studied parents between the ages of 25 and 65 worldwide, with infants, toddlers, adolescents and teens, as well as data from Facebook and Instagram in eight countries—Australia, Brazil, Canada, Germany, Mexico, Spain, the U.K. and the U.S.—with help from Ipsos MediaCT and Sound Research. New parents globally post 2.3 times more photos, 2.9 times more videos and 1.8 times more status updates than average users. Despite the popular perception that posts about Facebook users’ children are not popular, new parents’ posts about their babies receive 37 percent more interactions from relatives and 47 percent more from friends. Altered sleep schedules lead to altered social media sessions, as new parents accessed Facebook via mobile devices as early as 4 a.m., peaking at 7 a.m., by which point 56 percent of new parents have done so. 66 percent of new parents said mobile technology helps them stay connected to family members. 48 percent of parents with young children say mobile technology helps entertain those children. 30 percent of parents with school-aged children feel that mobile technology helps them be more productive parents. 60 percent of parents with teens believe mobile technology helps them stay more connected with their teens. Brands can create bite-sized content and catchy videos on mobile that will appeal to parents, particularly those adjusting to a new schedule. Brands need to understand the evolving role of mobile for parents and cater their messaging to address parents’ needs depending on their child’s age. Parents’ oversharing rallies friends and families and extends the modern “family” beyond the immediate household. Today, the average number of individuals helping to raise a child is 18, and we see this across all eight markets studied. Additionally, more than one-half of parents in Spain (55 percent), Mexico (54 percent) and Brazil (58 percent) say they are better than their parents at helping their child stay connected with their extended family. We are shifting back to an extended family structure, albeit one of a more virtual kind. Thanks to technology, extended families are now more involved and parenting is more collaborative. 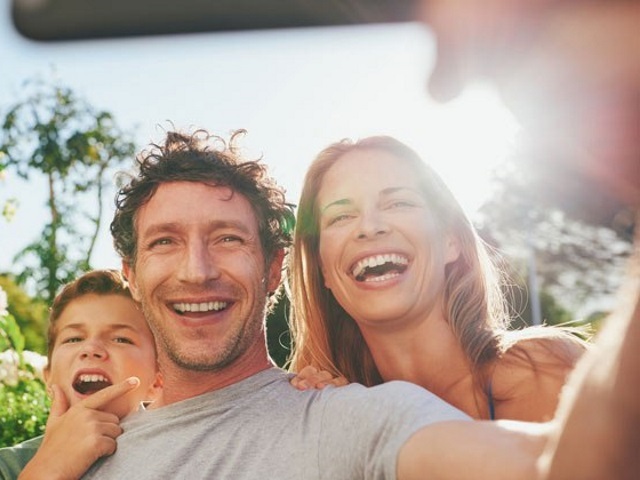 Brands can earn their way into parents’ trusted circle by helping to simplify and address the information overload and questions that arise, offering reassurance that everything’s going to be alright. Readers: Did any of the findings by Facebook IQ surprise you?